It's great to get fantastic reviews! You've worked hard to get your fabulous feedback, now you can use it to influence future guests. Use freetobook to share your great reviews with the world. 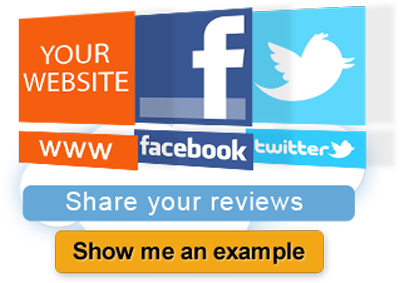 Create your very own Reviews Page. Get the most from your freetobook reviews. 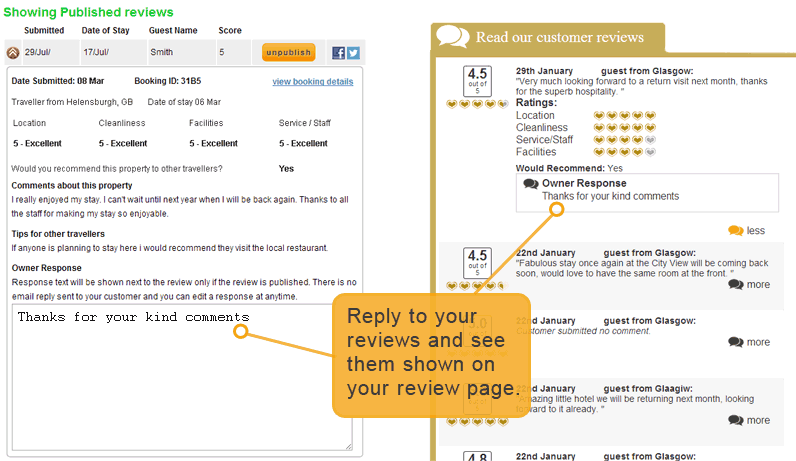 With your freetobook reviews widget you can respond to your customer reviews. 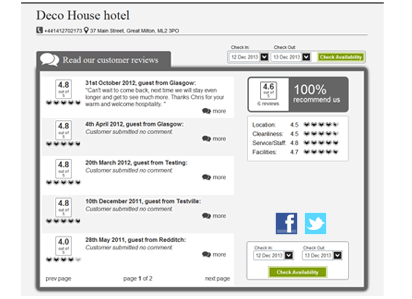 Each review widget gives your guests instant access to your freetobook reviews and links directly to your booking system, making it easy for impressed customers to make a direct commission free booking there and then. Another great idea from freetobook giving you more for less.